Uncover the secrets of the Mayan past on this action-packed, small group adventure through Southern Belize. Our expert guides can’t wait to share the beauty of unsullied ruins settled in thick jungles, a behind the scenes tour of a local chocolate farm and the colorful depths of Belize’s stunning, bountiful seas. Hike and snorkel your way through the rainforests, white sand beaches, coral reefs and magical sunsets of Latin America’s eco-dream destination during this all-inclusive, custom vacation package. At days end, kick back with a cocktail and good book as you’re lulled by the rhythmic sounds of surf lapping at your feet. All the while, enjoy the best in regional accommodations, delectable cuisine and Austin’s signature touch of inspired, thoughtful service and discover the perfect blend of exploration and relaxation on this unforgettable holiday. With one foot in the Central American jungles and the other in the Caribbean Sea, Belize may be small but it’s packed with adventure and culture. This nine-day adventure will take you from the heart of the jungle where you’re sure to spot at least a few of Belize’s 570 bird species to the Belize Barrier Reef, the second largest in the world and a pure paradise for marine life lovers and snorkelers. By night, relax at your luxurious accommodation with a candlelit dinner. Walk along a sandy beach at sunset. A warm Jacuzzi soak under a starry Belize sky. Enjoy snorkeling, scuba diving or even go on a fishing excursion on Ambergris Caye. Take a hike through the historic Mayan ruins! Relax at an award winning spa that has over 36 different treatments! Get close with nurse sharks and stingrays at Shark Ray Alley! Go tubing at Jaguar Paw, sit back and relax and enjoy the ride! Take a day at the Hidden Valley Inn & Reserve and go on a self guided bike ride or hike or even enjoy a nice yoga class on the yoga deck! Austin Adventures is proudly offering this trip in conjunction with our Belize partner, Darah Travel. Darah Travel is an extremely guest-oriented company and their mission is to provide you with a safe and reliable Belize services provider on your vacation in a foreign land. They believe in matching their products and services to what best fits their guests needs, treating their guests with the utmost respect and courtesy, and providing you with the vacation of a lifetime on your trip to Belize. The employees of Darah Travel truly believe that Belize has it all, and that there is something for everyone in this small country, regardless of your budget, time constraints, and comfort requirements. Whatever your desires are for the ultimate Belize Vacation, Darah Travel and Austin Adventures are teaming up to provide you with your dream adventure! Birds galore: Bring your binoculars, bird lovers! Belize has over 500 distinct varieties of birds. That's more than any other country in the world! 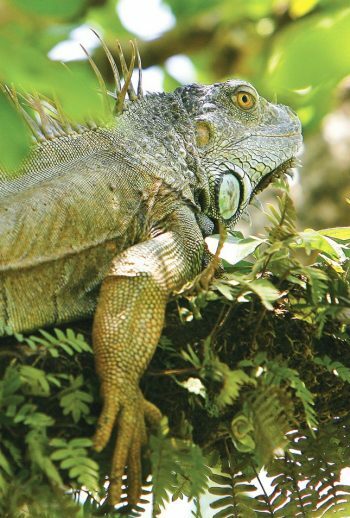 Pristine wilderness: Belize cares about the environment as much as we do! Due to strict government regulation, two-thirds of the Belizean natural forest is safe from exploitation. Phew! The deeper meaning: Belize's national motto is “Under the Shade I flourish.” Discover where this phrase featured on the Belize flag came from and the importance it holds for nationals today. Hidden Valley Inn comprises an estate lodge and just six surrounding cottages, each with two suites, making for a highly personal and exclusive vacation experience. The lodge, once the Main House of the Hidden Valley estate, boasts several fireplace lounges, a handsome bar room that opens to the pool’s stone terrace, beautifully surrounded by gardens of orchids, lilies and bromeliads. At night, enjoy the Jacuzzi under Belize’s starry skies or cozy up with a book after dinner. The restaurant at Hidden Valley Inn is an epicurean delight reserved for property guests only. Candelight dinners are best when followed by a nightcap in the cocktail lounge. And after, guests make their way back to their individual cottages where, on cooler evenings, a fire is glowing. In the morning, refreshed and ready to venture out into the broad landscape of Hidden Valley Reserve, guests meet the friendly staff to go over the day’s itinerary. Your hosts will personally see to it that your plans are met and that the day is properly arranged for maximum satisfaction. Should your plans include a spa service, that can be arranged as well! Today, take in the largest Mayan site in the country known as Caracol • Visit ancient courtyards, ball courts, residential complexes and a complete astronomical observatory as your guide recounts the history of nobles and peasants living in a mystic world • The largest of the structure is Caana measuring 43 meters in height, making Caracol the Largest Mayan Ruin in Belize • On your way back from Caracol, stop by the Rio Frio Cave and Rio on pools of the Mountain Pine ridge • Here you can jump in for a swim before returning to your hotel. Today, we drive to the municipal airstrip located in Belize City • En route to the airstrip, we’ll stop at Jaguar Paw to experience an exhilarating cave tubing adventure • Hike a short distance across the subtropical forest where you begin your underworld tubing experience • Once there, sit back and relax while you float through a series of caves with crystal blue waters, limestone walls and much more! • After lunch, we’ll continue on our two and a half hour transfer to Belize City • A short 20 minute flight will bring you to La Isla Bonita • A representative from your hotel will be waiting for you at the airstrip to take you to Victoria House. Spectacular, private, and located on a breathtaking Caribbean island, the award winning Victoria House Resort & Spa features 42 rooms offering a variety of world-class accommodations. Whether you stay in a spacious pool villa, luxurious suite, well-appointed Stateroom, or a romantic tropical Casita, Victoria House provides the perfect venue for total relaxation and comfort. As a boutique resort, Victoria House is unsurpassed in the art of pampering its guests with an abundance of services and conveniences. The spa facility truly sets Victoria House apart from any other resort on Ambergris Caye. Perched at the edge of one of the most stunning natural wonders of the world, the Belize Barrier Reef, the resort offers a variety of exhilarating adventures, from exploring Mayan ruins to diving the world renowned Great Blue Hole. Whether you are looking for a relaxing beach vacation or an adventurous assortment of world class activities, Victoria House is sure to deliver an unforgettable experience. After breakfast you will be picked up at the pier of your hotel by your boat captain • Today you will visit the Hol Chan Marine Reserve, located four miles away from Ambergris Caye by boat • Hol Chan is the Mayan translation for “little channel” and is home to over 160 species of fish, nearly 40 species of corals, 5 sponges, 8 algae, 2 sea grasses, 3 marine mammals and 3 species of sea turtles • Your next adventure is at Shark Ray Alley, lying just three minutes from Hol Chan • Nurse Sharks and stingrays politely greet you as you arrive to visit them. Experience three days of leisure at and around Victoria House • You may opt to visit the lively town of San Pedro which is a short bicycle ride away; the resort can help you get a cab to take you into the village if you desire • The second largest barrier reef in the world is just minutes away by boat; the concierge can assist you in booking a snorkeling, scuba diving, or fishing excursion • There is also an award-winning spa with 36 different treatments that you may opt to take advantage of • However you choose to spend your days on Ambergris Caye is up to you! This morning, you will be taken to the nearby San Pedro airstrip for your twenty minute flight to the International airport • From here, make your post trip connections home. Upon arrival at Belize International Airport, pass through immigration and immediately enter the luggage claim area. After collecting your luggage you will pass through customs and then continue towards the airport exit door on your right hand side. Outside look for a representative of Austin Adventures who will be holding an Austin Adventures sign with your name on it. Your driver will then transfer you two and a half hours to Hidden Valley Inn, where you may spend the rest of the day resting and preparing for your adventure. On your last day, you will be taken to the nearby San Pedro airstrip for your twenty minute flight to the International airport where you will make your post trip connections home. Activities at each location are customized to meet the interest level of each guest and include: snorkeling, jungle hiking, swimming, and safari cave tubing. Adventures also include exploring Mayan ruins and primeval caves, wandering nature trails on foot and watching over 400 species of exotic birds and other wildlife — or simply luxuriating on a beautiful tropical beach. Your guides will take the time to explain the details of each activity, answer any questions and demonstrate the use of all equipment. Each activity has been carefully planned to include options for all levels. Most importantly, your guides will help you select the distance that’s right for you. Double occupancy rooms with private baths as noted in itinerary. Meals as indicated in detailed daily itinerary (B = Breakfast, L = Lunch, D = Dinner). Road and boat transfers throughout duration of trip. Daily tours and activities listed in itinerary. Tour entrance fees and equipment. Local flight to/from Ambergris Caye. Gratuities to Austin Adventures / Darah Travel guides. Local partner and expert gratuities and dining gratuities. All beverages and related gratuities. Any meals not indicated in itinerary.